For over 40 years Vango has been at the centre of the UK's camping scene designing and manufacturing tents, camping equipment, sleeping bags and rucsacs for every type of use. Vango tents continue to be designed at their HQ in the West of Scotland and are manufactured in the Far East with Vango staff overseeing rigorous quality assessment. Vango manufactures tents that that are suited to every use large family tents for long stays; medium sized tents for weekend stays; small, adventure tents for touring; mountain tents for year-round use capable of withstanding poor weather and lightweight tents for backpackers and expeditioners. Vango Family Tent Range has been designed with both large and small families in mind but the aim is always to provide space and comfort for the longer vacation stay. All tents in the Family Range have masses of head height in the living areas and great thought has been given to the internal layout of each tent providing different styles of sleeping accommodation that families might require side-by-side bedrooms, vis-a-vis bedrooms and separate bedroom pod's. Each of these Vango tents has also been carefully designed so that pitching is as simple and straightforward as possible so that you can get on and enjoy your camping holiday. Vango Weekend Tents have been designed with the shorter stay in mind. While generally smaller than the tents in the Vango family range, they all still offer stand-up head height and have a pitching time of 20 minutes or less. Vango has been at the forefront of designing tents that cater for the move towards taking multiple short breaks rather than one long, extended holiday and this has been exemplified by their best-selling Vango Icarus range of tents. 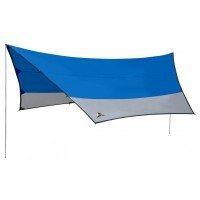 Simple in structure and easy to pitch just throw in the back of the car for that memorable weekend away. Vango Signature Tents are a premium range of tents for campers who care about quality and design and appreciate comfort and sophistication. All of the tents in this beautifully coloured range offer substantial head room and generous living and sleeping proportions with Vango going to great lengths to ensure that every detail is perfect. With flysheets of 6000mm hydrostatic head and 22mm Powerplus steel poles these tents are designed to be a cut above the rest. Vango Adventure Tents are for exactly that adventurers! Ideal for short breaks or for people who want to move from site-to-site on a touring holiday, the adventure tent range offers quick pitch times and light, compact pack sizes. The Vango Beta tents and Vango Alpha tents have become the favoured choice of scouting groups across the country as well as festival goers and Duke of Edinburgh Award participants. Vango Airbeam Tents have been several years in development and are about to revolutionise the way we think about camping. The rock solid inflatable beams take a matter of seconds to pump-up and after guying the tent out, you are finished! The Vango Airbeam range of tents now incorporates designs for every type of user from the casual touring camper, the weekender through to the full sized family. And as you would expect with such a new and innovative new tent design, nothing has been left to chance when it comes to the quality and durability of the tent materials that have been incorporated in the Vango Airbeam range. 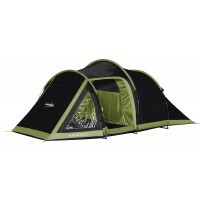 Vango Expedition Tents incorporates a range of lightweight , backpacking tents and lightweight mountain tents. Vango backpacking tents are intended for those who are constantly on the move and need a tent that is extremely light to carry but also easy to pitch and reliable. The Vango backpacking tents tick all of those boxes emphatically. The Vango mountain tents are for year-round campers and mountain expeditioners who will encounter poor weather conditions and need a robust and totally reliable tent that won't let them down. In short, Vango are camping equipment specialists who understand what the customer needs and set about designing and producing products that suit the needs of those wanting to spend time in the outdoors. Every Vango tent features the experience, reliability, quality, innovation, design and usability that you would expect from a company with 40 years of being on the job.